Did a parent forget their pin? We've all been there. Seriously. I might be there right now. What article am I working on? Oh right...forgotten parent pins. 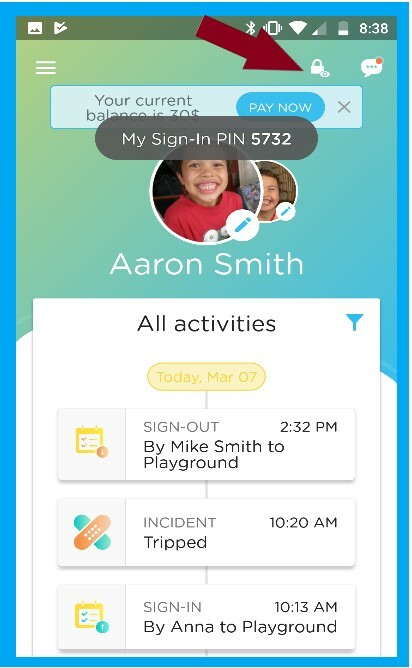 Parents now have access to their sign in-out pin in their parent app. They can view the pin by logging in and clicking on the lock icon (circled below). On the main screen, click on the child's name. Find the parent/carer and click their name. Scroll down to view their pin. Mouse over the Parent name (see image below). Click on the student name and scroll down to see pins of any authorized pickups. You can also click on the ellipsis (...) in the upper righthand corner of the Students page and select the "Send Sign In-Out Pin" option to send out all of the pins at once to the parents' email inboxes.